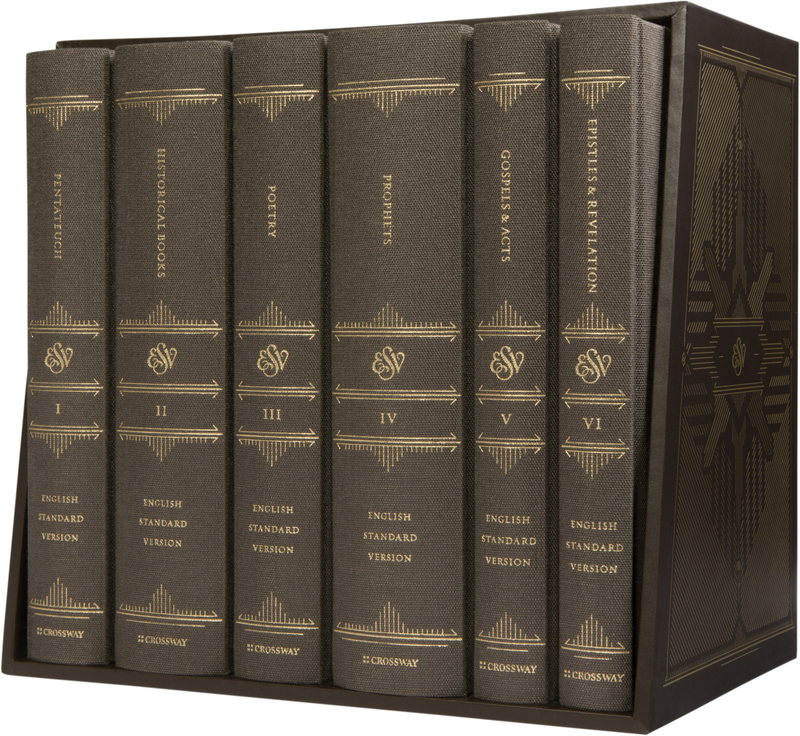 The ESV Reader’s Bible, Six-Volume Set: With Chapter and Verse Numbers is produced with materials and formatting that provide a unique reading experience fitting for God’s holy Word. 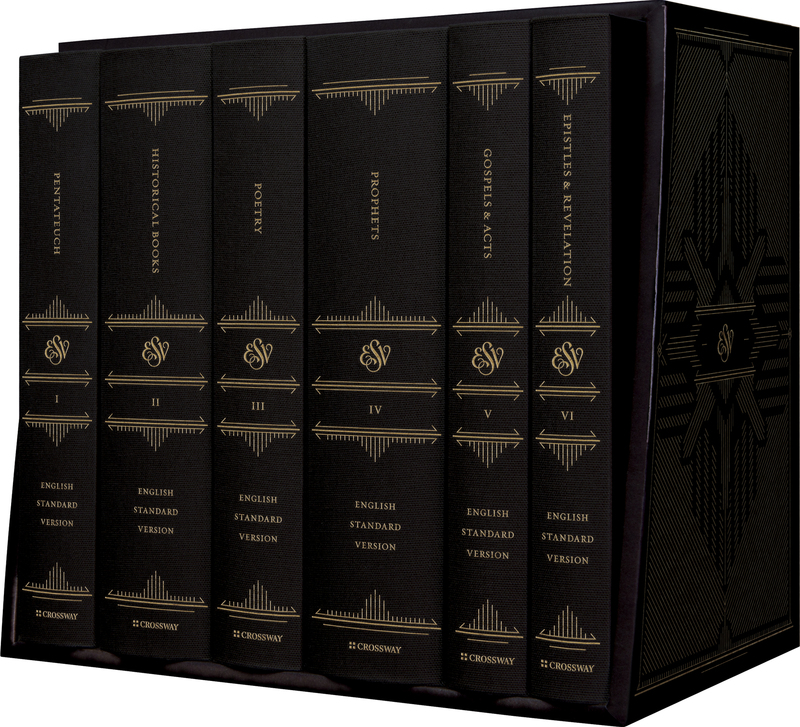 Printed on high-quality book paper with a smyth-sewn binding and packaged in an elegant slipcase, this edition features single-column text typeset like a novel, with verse and chapter numbers laid out in a subtle and unobtrusive way. Perfect for use with Bible reading plans, personal Bible reading, or family devotions, this edition invites the reader to slow down and delight in the beauty of God’s Word. "This is a beautiful concept executed beautifully. It’s one of the best editions I have ever covered at Bible Design Blog. It fills a niche that has largely gone unaddressed in the past: the need for a Bible designed for a lifetime of reading." 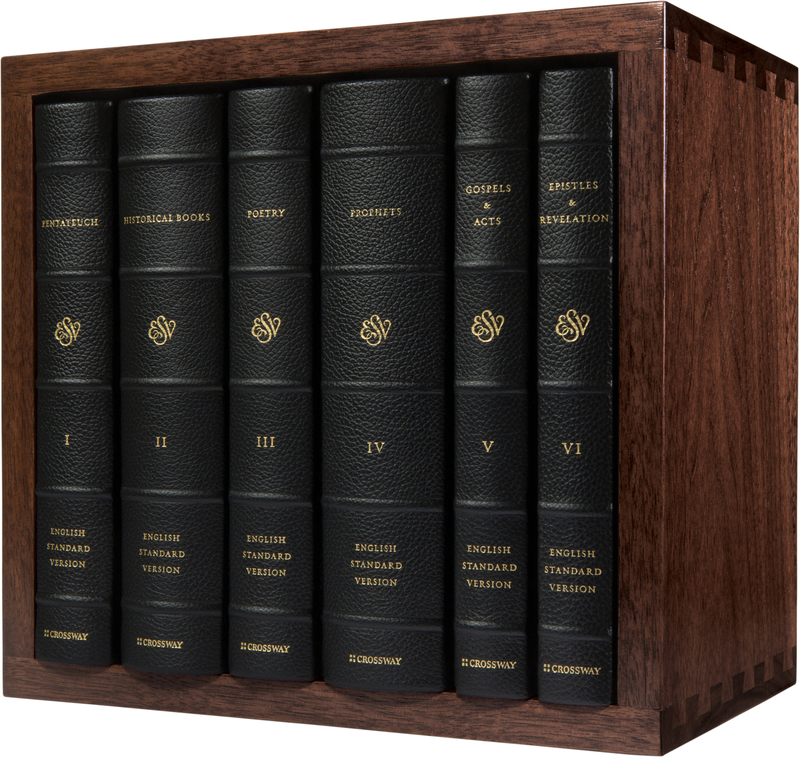 "The ESV Reader’s Bible, Six-Volume Set is an outstanding product, one to treasure, perhaps even for a lifetime. In its text it is the words of God. In its form it is very nearly a work of art. It is beautiful. It is simple. It is beautifully simple and simply beautiful."